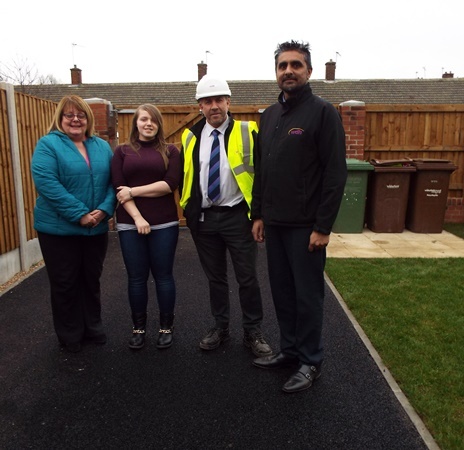 Young people in South Kirkby have a bright future in their youth club thanks to WDH’s Love Where You Live scheme. 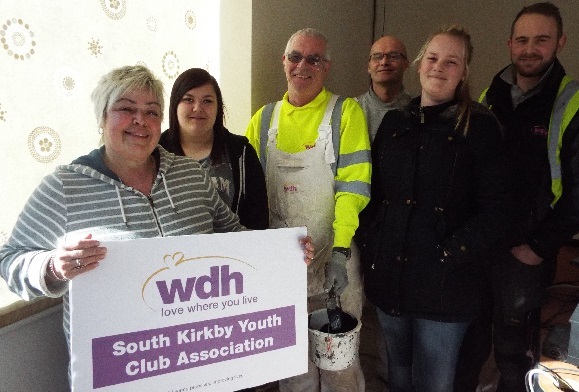 The walls at South Kirkby Youth Club Association’s Mill Lane premises were given a brand new look by WDH painters Martin Dobson and Peter Dougal, who replaced the tired décor with refreshing cream and vibrant blue. 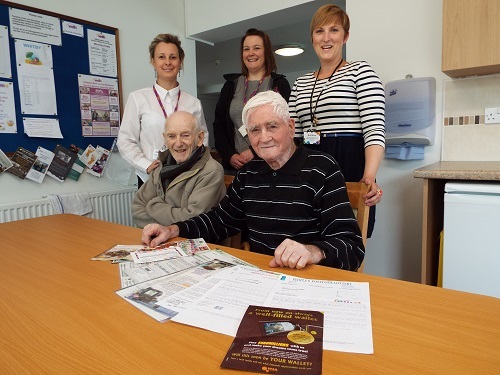 The association has a good relationship with WDH’s Tenant Involvement Officer Jane Gwilliam and approached her about the Love Where You Live scheme, which encourages community groups to improve their environment with the help of WDH employee volunteers. Once the youngsters had chosen their colour scheme, Martin and Peter’s paint rollers made short work of the revamp. Youth club members will now be invited to add their artwork to canvases which will be hung on the newly painted walls. Youth club manager Rebecca Cartwright said in its first year in the building, the club had hosted up to 40 youngsters five nights a week, with separate sessions for younger children (5pm to 7pm) and older ones (7pm to 9pm). They enjoy baking, arts and crafts and playing pool, using the field next to the club in the summer and Stockingate Mill Junior School in the winter for sporting activities. 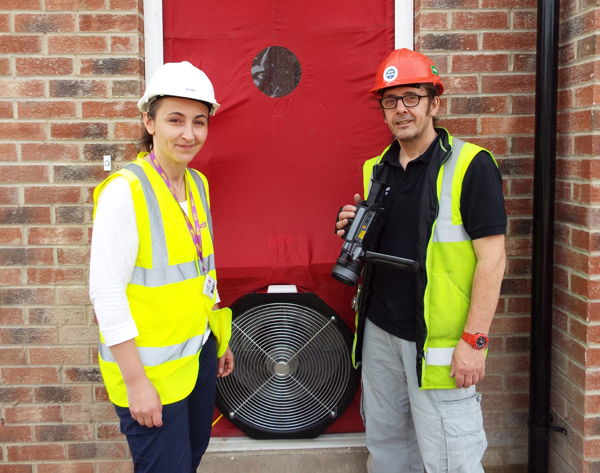 To suggest a community project which could do with the help of WDH’s Love Where You Live campaign, contact Engagement Officer Davi Garaghan by email: tenants@wdh.co.uk or ring 01977 788647. Pictured (from left) are Diane Tyrone (youth worker), Kaycee Medlam (volunteer), Peter Dougal (painter), Martin Dobson (painter), Rebecca Cartwright (manager), Daniel Creighton (joiner).